We use only the highest quality grains through a state-of-the-art cleaning system that ensures our customers premium quality. Grain protein and moisture available to your specifications. 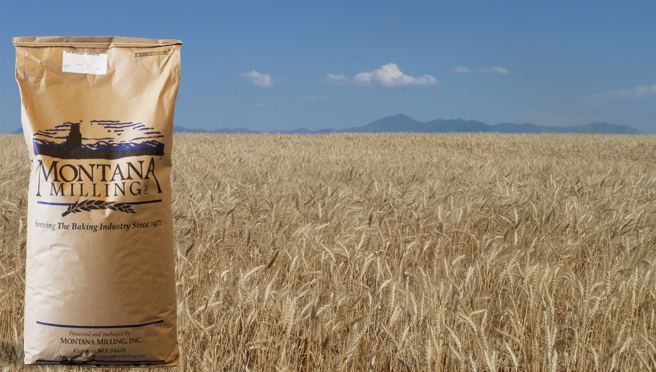 Our custom flours are milled to meet premium quality standards. Products are available in coarse, medium and fine (sifted) grinds. Speciality flours include whole wheat, unbleached, and artisan flours. Our grains are tempered, conditioned, and rolled to make thick, regular and quick flakes. Our cracked products are milled and sifted to meet specific granulations, with unwanted fines and small particles removed. Grains are available in coarse, medium and fine grinds. Our mix plant provides a large variety of mixes and blends for the baking industry. We can produce custom blends to meet customer specifications. PACKAGING Our products are available in bulk truckloads, 2,000 pound bulk totes, 50 pound bags, 45 pound pails and 25 pound bags. Custom packaging is available for full truckload orders. Quality and service is our commitment...We guarantee it.